FOUNTAIN PEN IN STERLING SILVER LIMITED EDITION 925 PCS 50. 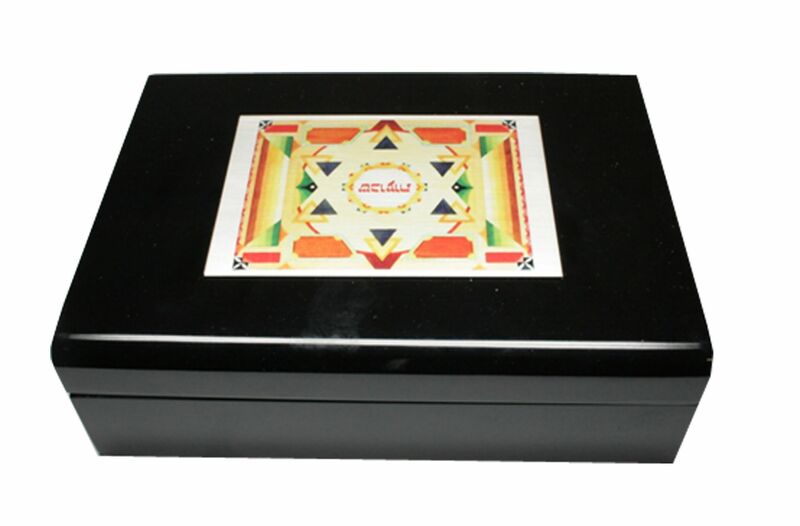 ALL HANDMADE ENGRAVED AND WITH ENAMELS. IN ANCIENT TIMES, SHAVUOT WAS AN AGRICULTURAL FESTIVAL CONNECTED TO THE SEASON OF GRAIN HARVESTING AND THE PICKING OF THE FIRST RIPENING FRUITS. TODAY SHAVUOT COMMEMORATES THE GIVING OF THE TORAH ON MOUNT SINAI – THE MOST IMPORTANT EVENT IN JEWISH HISTORY. THERE ARE 50 PENS IN THIS SERIES AS THE TEN COMMANDMENTS WERE PROMULGATED ON MOUNT SINAI FIFTY DAYS AFTER THE JEWISH PEOPLE LEFT EGYPT. 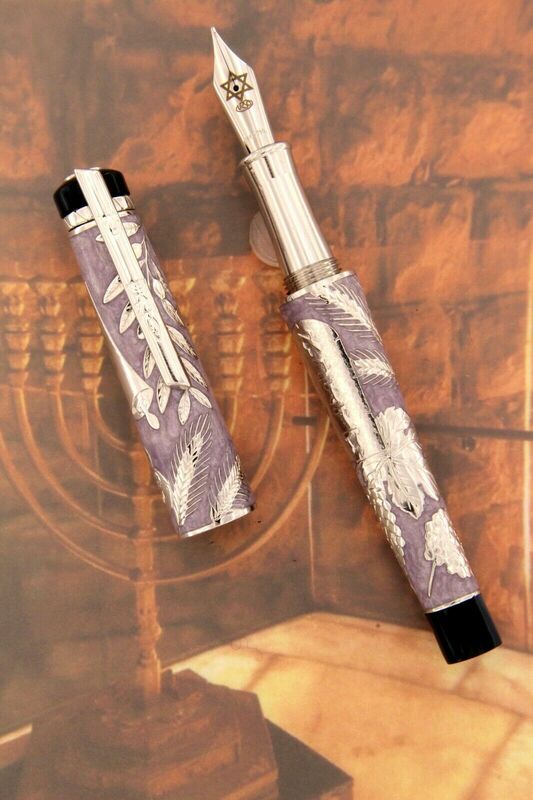 THE CLIP OF THIS FOUNTAIN PEN IS A REPLICA OF A MEZUZAH, A RITUAL OBJECT WHICH – ACCORDING TO TRADITION – IS AFFIXED TO THE DOORPOST AND CONTAINS VERSES FROM THE TORAH .